I usually don’t put much stock in what Hollywood Actors say. Mainly their insipid illogical liberal bleeding heart bias comes through with such a shockingly high level of hypocrisy that it’s not worth wasting my breath talking about. That is why, when I hear the fresh perspective of a rational thinking Hollywood Actor I am pleasantly surprised. In this case the clarity that I speak of comes from Vince Vaughn. An actor, by the way that I have been a fan of since Swingers. 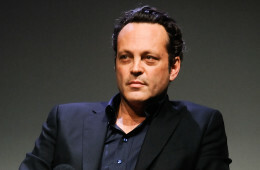 It’s like Vince Vaughn has been reading Bulletsfirst.net. Now, as we all know, liberals don’t hate anything more than someone speaking their mind when it goes against the liberal dogma. Hopefully, Vince Vaughn is a big enough star that the haters in Hollywood won’t be able to retaliate against him for speaking his common sense viewpoint. This isn’t to say that Vaughn stands alone in his belief in the 2nd Amendment. In a previous article I listed a number of Hollywood stars who are pro gun. As for me, I can’t wait to see Vince Vaughn’s next movie. Dave Workman: Is Vaughn under fire for wanting guns in schools, or telling truth?